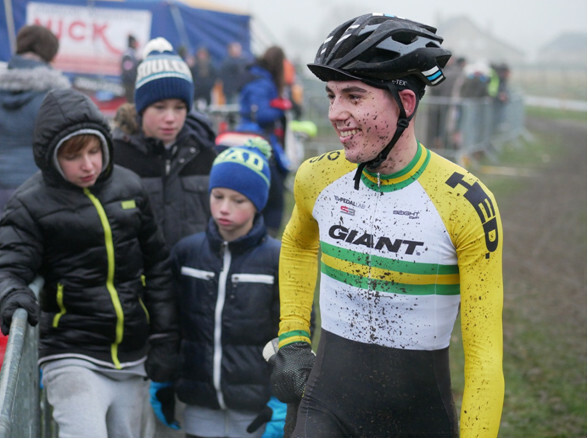 Cyclocross Minded is stoked to kick off 2017 by announcing that 2016 Under 19 Men’s National Champion Adam Blazevic is representing us an Ambassador on his current European adventures and throughout the 2017 Cyclocross season. Balancing the demands of secondary school with his riding aims, Adam has been racing cross longer than many in this country despite his young age, first pinning on back in 2011. With the support of his incredible family, Adam has been fortunate enough to take on a stint of racing in Europe this Australian summer and has already had success with two wins in as many starts – winning the Junior Mens division back to back in Boekhoute and Ingooigem. Like all our Ambassadors, we couldn’t be more privileged to work with such an awesome person and get to play a small part in Adam’s cyclocross season!